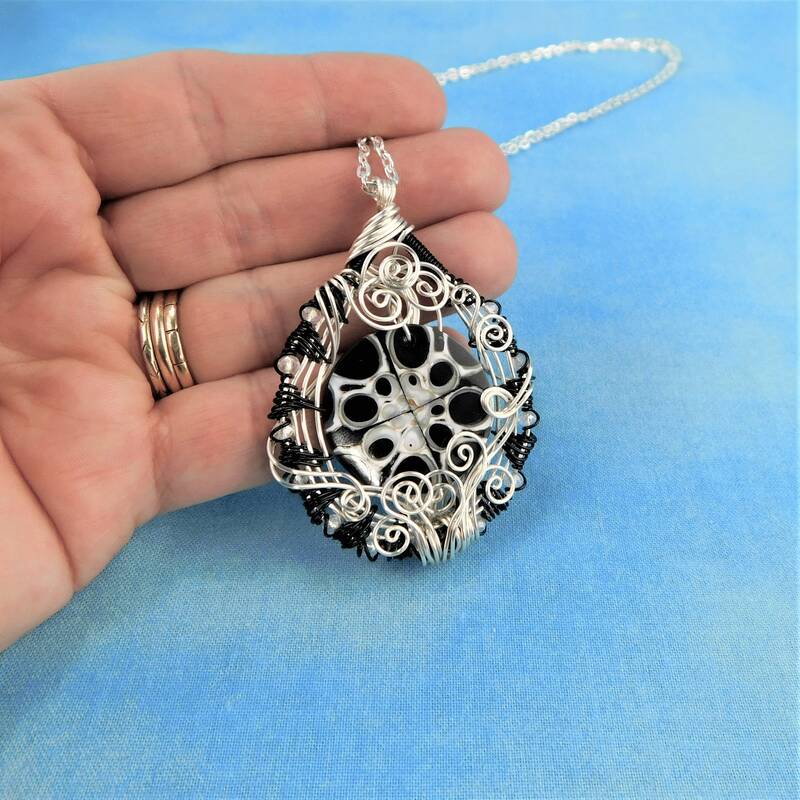 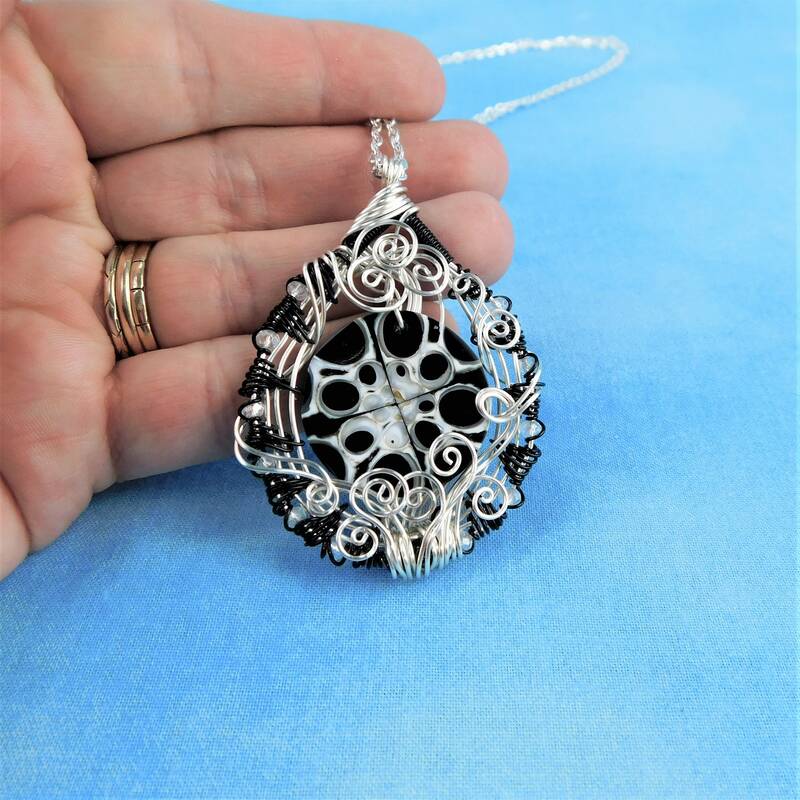 A beautiful mosaic of black and white shells inlaid in resin is artistically framed with hand off-loom woven and sculpted non tarnish, black colored copper wire, along with non tarnish fine silver over copper wire. 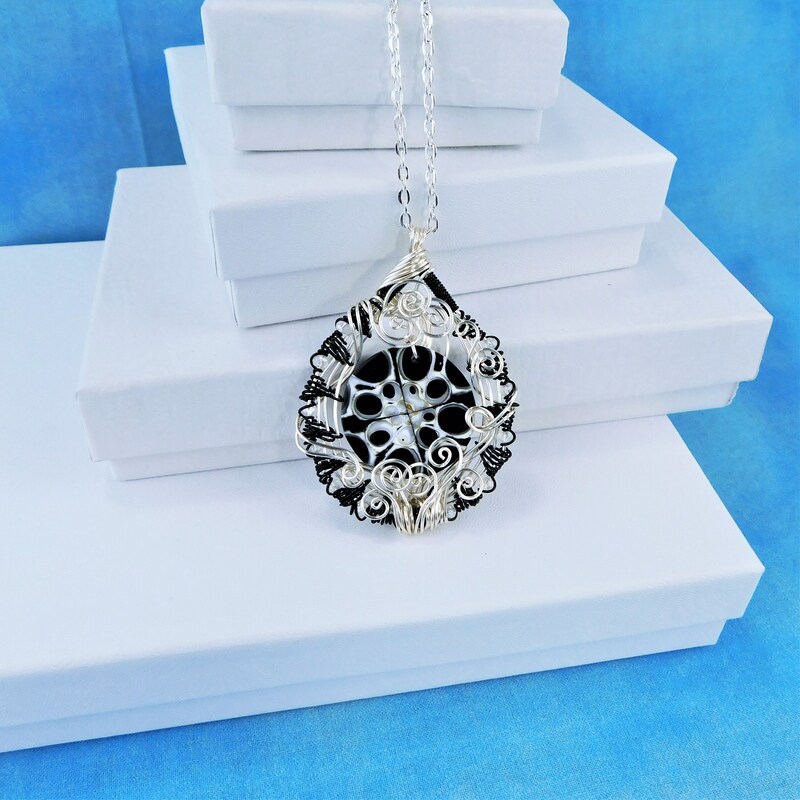 The handcrafted frame is meticulously interwoven with small clear crystals. 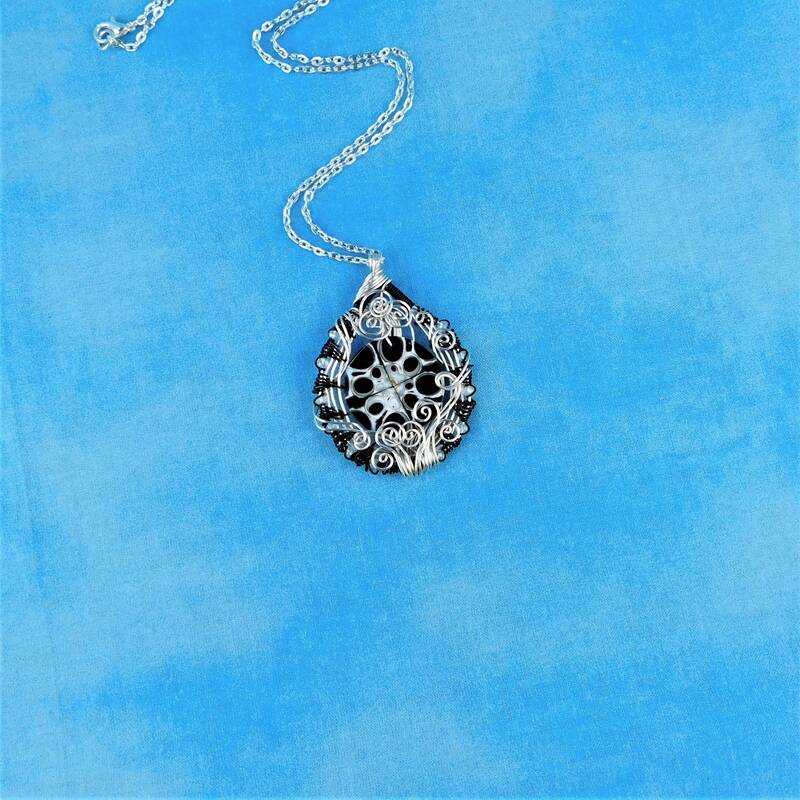 It is lightweight and easy to wear, and coordinates well with many colors and styles. 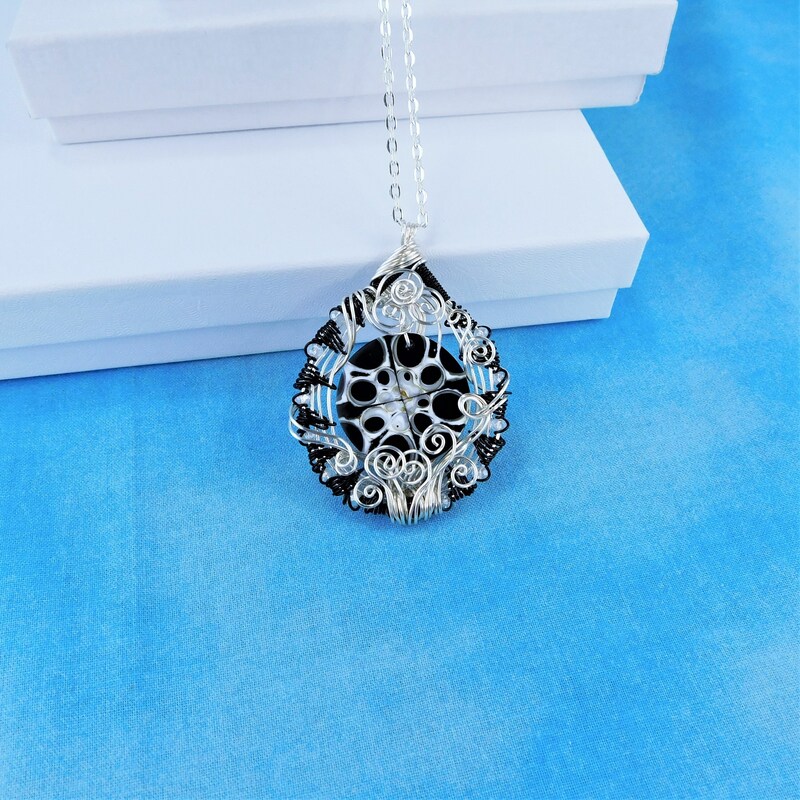 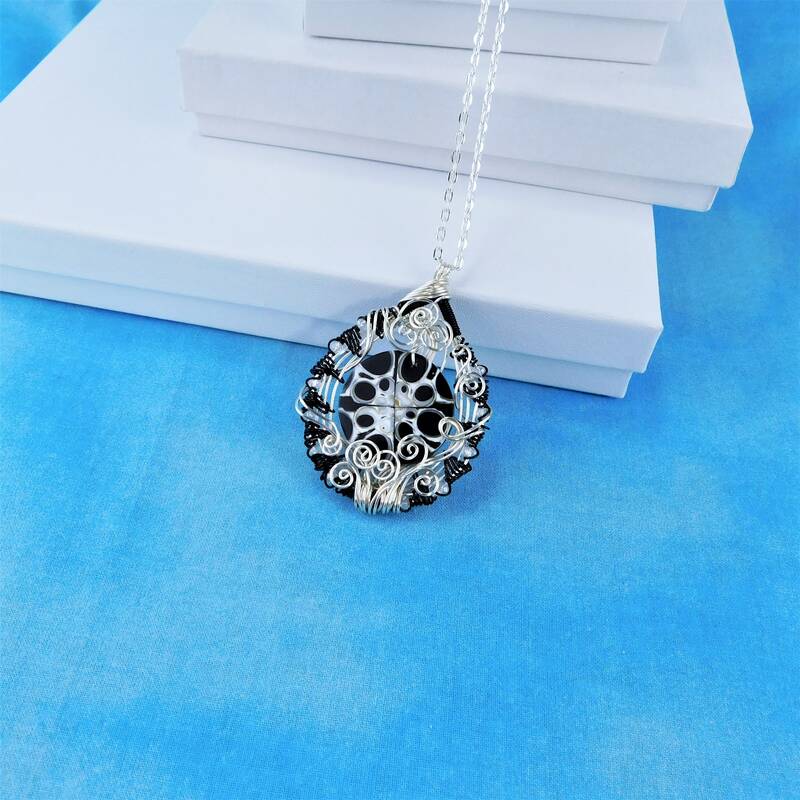 It is a one of a kind design that will be an interesting and unique focal piece in any woman's collection. 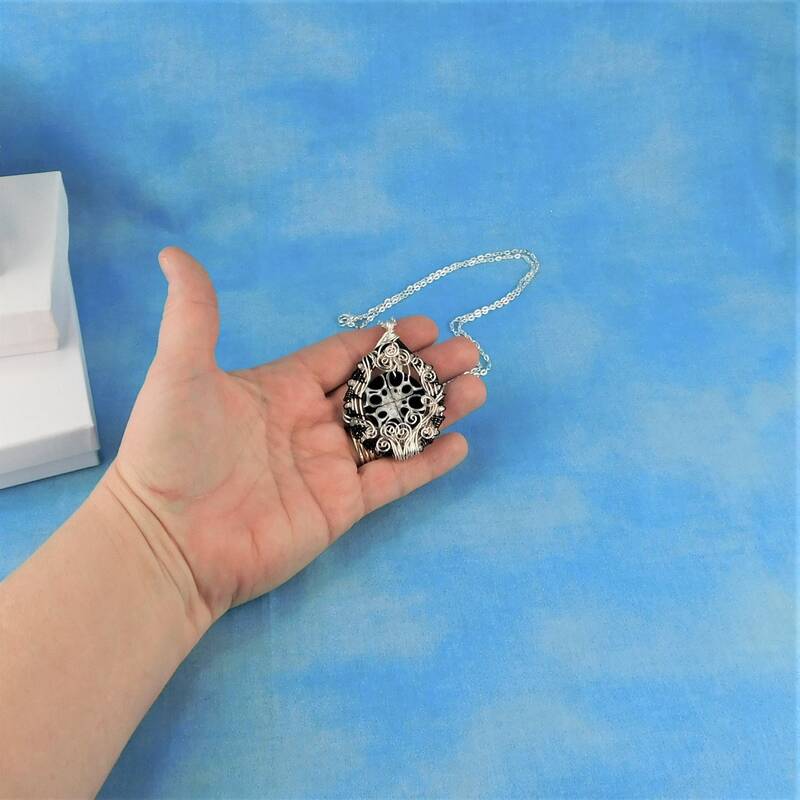 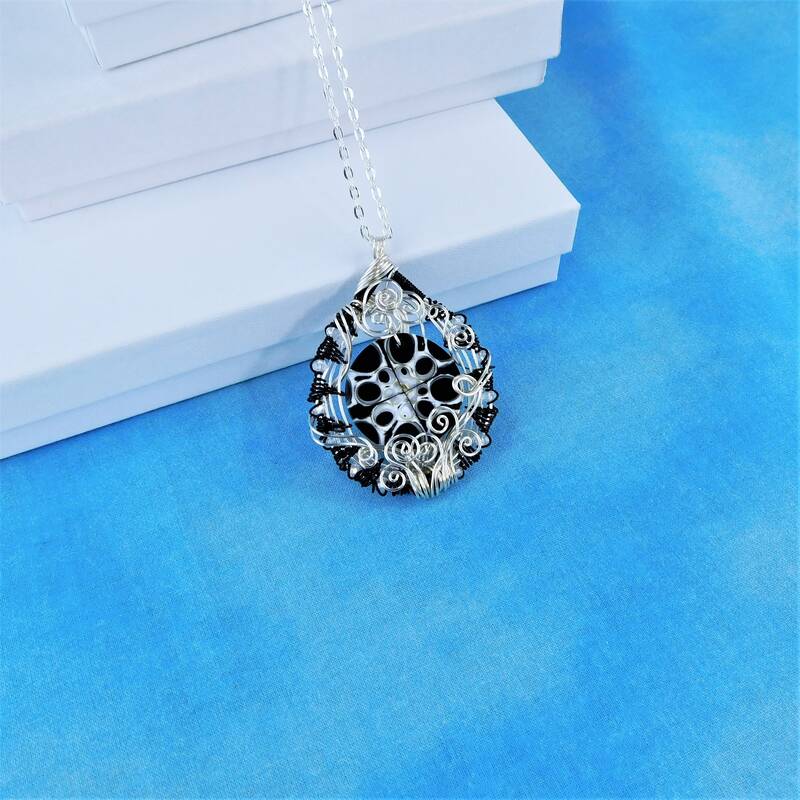 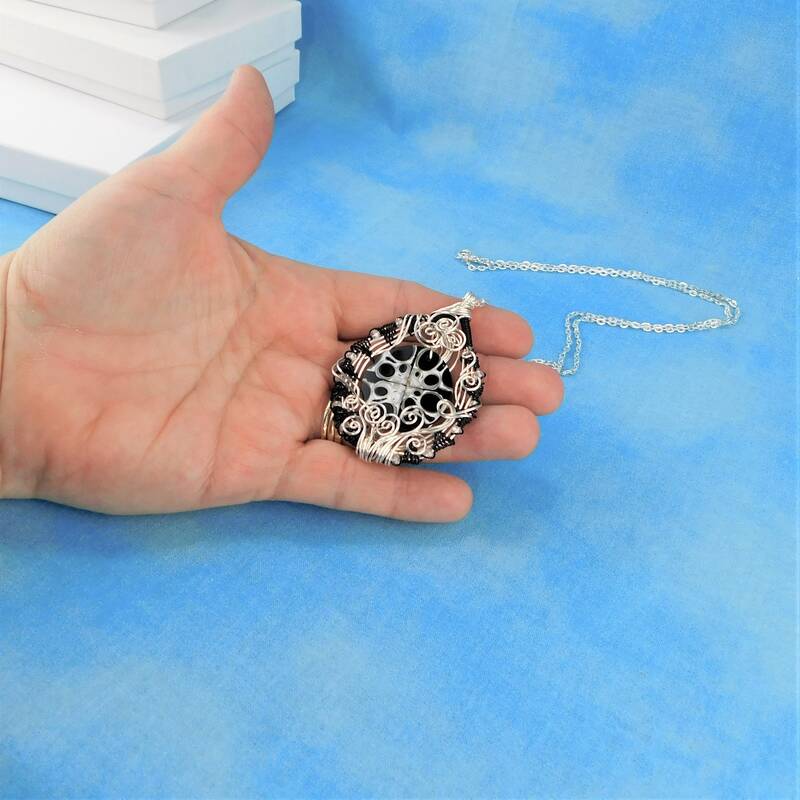 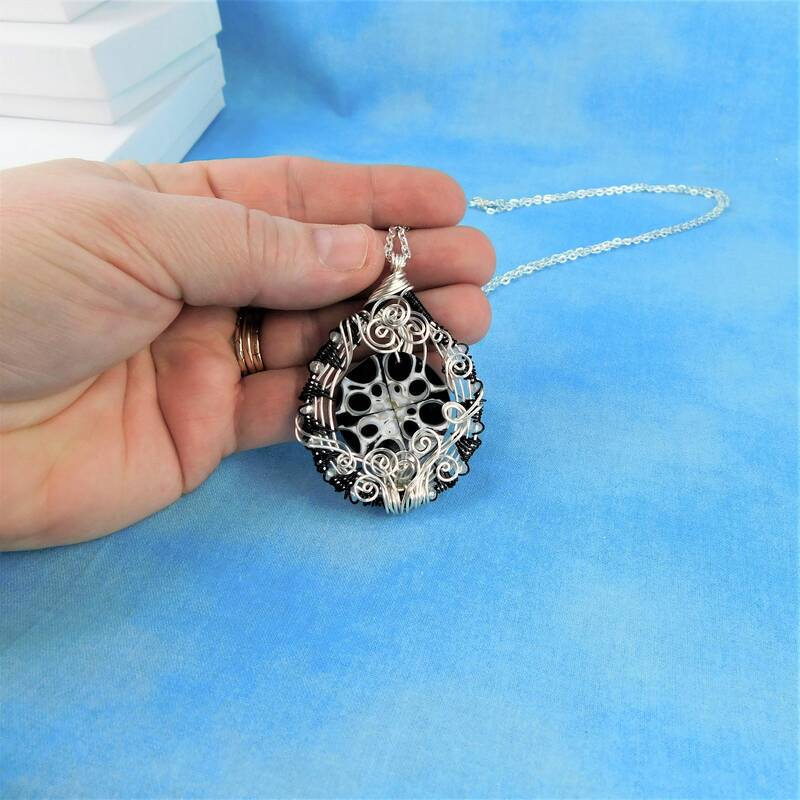 The oval pendant measures 2 inches by 1 1/2 inches and comes with a FREE coordinating chain with lobster claw clasp measured to your preferred length.